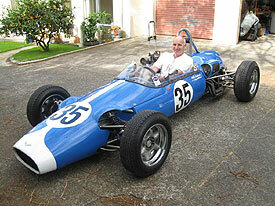 In 1961/1962 Jack Myers started his next project to build a competitive Formula Junior. 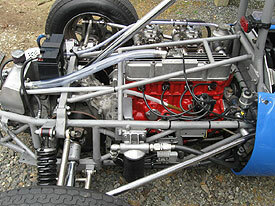 He completed the project to rolling chassis form before he lost his life at Catalina Park racing his twin Triumph engine special. Jack Myers was a well known Australian motor racing identity starting in 1952 racing his Humpy Holden and then progressing to the jointly modified Waggott/Myers WM Holden fitted with the famous twin cam head to a 6 cylinder grey Holden Motor. 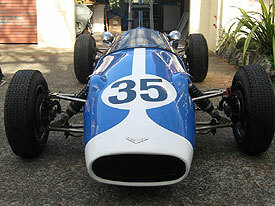 In 1963 the rolling chassis was purchased by Gordon Crawford who, with the help of Alf Lee, finished the car. 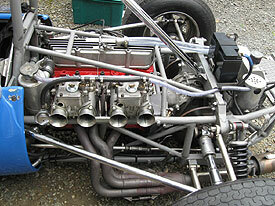 Engine: Ford 109E, 1098cc with Cosworth cylinder head, billet steel crankshaft and rods, gear driven Campro Cosworth A6 camshaft. Complete engine overhaul, including full balance, just completed by engine reconditioner and cylinder head specialist. Original VW gearbox and transaxle with gearbox fitted with Hollinger internals and converted to 5 forward gears with no reverse. Stripped and inspected and reassembled with new selector shaft and seals. 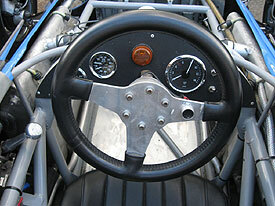 New Tilton clutch fitted, flywheel machined and assembly fully balanced. Original Girling disc brakes fully rebuilt and new Koni adjustable front shock absorbers set up and fitted. The body is the original modified Lynx Mark I, GRP body, freshly prepared and painted in stunning Capricorn blue. Documents include CAMS COD, Log books, history of the car and a comprehensive summary, with invoices of all the work done on the car by the present owner. Photograph file available. 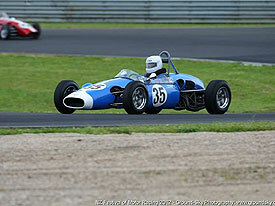 This is a beautifully prepared, fully sorted and competitive race car which is consistently in the fastest group of New Zealand Formula Juniors (copies of race results and lap times available). 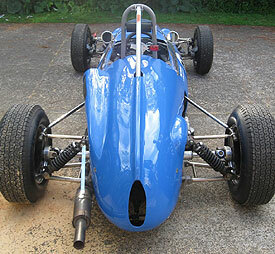 The seller is confident that the car will prove to be a very competitive and rewarding Formula Junior exceeding the expectations of anyone who is interested in this class of historic motor racing.